Above: William Angus in 1921. Photo courtesy of Barr Smith Library. 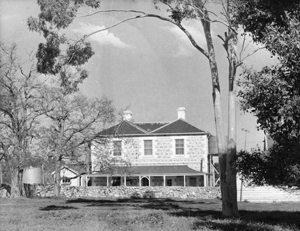 Below: Kybybolite homestead at Kybybolite Research Centre in 1960. The center was established in 1905. Below: Fruit tree contour planting experiments at Blackwood. 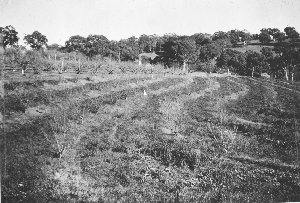 Blackwood Experimental Orchard was established in 1908. During a period of considerable change between 1902 and 1904, A.J. Perkins was Secretary for Agriculture, heading up a diverse group of organisations that made up the Council of Agriculture. On 1 August 1904, Perkins was made Principal of Roseworthy College. William Angus, a graduate from the University of Aberdeen, arrived in South Australia in December 1904. He was recruited to replace Perkins and was appointed as the Secretary to the Minister of Agriculture and Professor of Agriculture. This title was upgraded to Director and Professor of Agriculture in 1906, effectively making him the first Director of Agriculture. He remained in that position until October 1910 when he resigned following a dispute with the Government about unprofitable management of egg marketing. After a period of farming, he ran for Parliament, and became the member of the House of Assembly for Victoria and Albert (1912-15) and Albert (1915-21). He chaired several Royal Commissions and was secretary of the parliamentary Liberal Party. Later in his career, he maintained an interest in farming, and taught agriculture at Scotch College from 1934 to 1944. Many new developments occurred during the decade up until 1910. A Poultry Expert (D.F. Laurie) was appointed and the original Chief Inspector of Stock, Valentine, retired to be replaced by his deputy, R.J. Needham in 1904-05. For a couple of years, the department was called the ‘Department of Agriculture and Intelligence’. Director Angus explained in his report for 1906-07 that the ‘intelligence’ essentially referred to the Departmental library and its role as a source of information. The following year Angus used for the first time the phrase, ‘extension work’ referring to the Department’s advisory service to farmers. In that year Angus said that previously, agricultural experimental work had largely been carried out by Agricultural Bureau branches, mostly testing new species and varieties of crops and pasture plants, or at Roseworthy College where it was of limited value because, although well planned and conducted, it was relevant only to its own soil and climatic conditions. Since 1904, the Department had been reorganising to give special prominence to experimental work which was wide-ranging, covering many of the State’s farming environments and with emphasis on fertilizer practices and dry farming techniques. 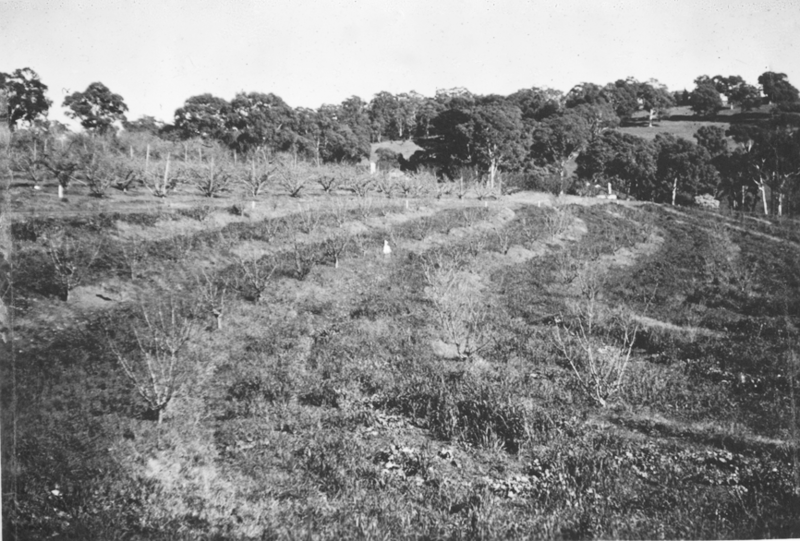 Farming experiment stations were established at Loxton, Kybybolite, Murray Bridge (reclaimed swamp lands) and Parafield, with orchards at Hackney, Blackwood, Kybybolite and Mylor (demonstration orchard linked to Botanic Gardens). In 1908-09 the experiment station in the Murray Mallee (Veitch’s Well) and the Turretfield Dairy Stud Farm at Rosedale in the Lower North were acquired. A very significant event in that year was the appointment of A.E.V. 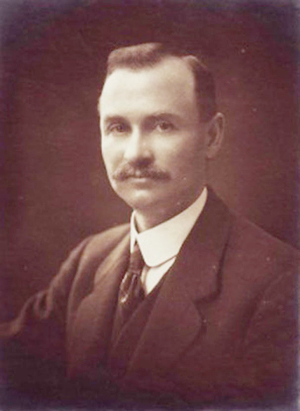 Richardson, a diploma holder from Roseworthy College and science graduate of Adelaide University, as Assistant Director of Agriculture with special responsibilities for experimental work. He became Acting Director for a few months when Angus resigned in late 1910. In 1911, Richardson moved to the position of Superintendent of Agriculture at the University of Melbourne, and over the next forty years became one of the truly great figures in Australian agriculture in Victoria, at the Waite Institute, and with CSIR. It was one of several new facilities established in a period of rapid expansion between 1905 and 1910. The concept of a separate portfolio for the rural industries was firmly cemented into place by the formation of an Office of the Minister of Agriculture (later to become the Minister of Agriculture Department). At the time, the Minister for Agriculture’s Department included the Secretary to the Minister, clerical staff, some inspectors, Secretary to the Advisory Board of Agriculture, and the editor of the Journal of Agriculture. Angus is recognised as the first director of Agriculture to lead a Department with some structure. He presided over a period of very significant change, including absorbing the consequences of Federation after 1901. For the first time a Commonwealth Department had constitutional responsibility for plant and animal quarantine and for the maintenance of quality standards of Australian exports of rural products. This period saw the introduction of the long-standing arrangement whereby the scientific and technical officers of the relevant state departments became the agents for the Commonwealth in those areas. Angus’ period of office saw a great proliferation of experimental stations and orchards into many parts of the State, along with ever-increasing amounts of investigations on private properties, at that time ranging from Orroroo to Goolwa. Daniels J.G. (1979); Angus, William (1871 – 1965); Australian Dictionary of Biography, National Centre of Biography, Australian National University.